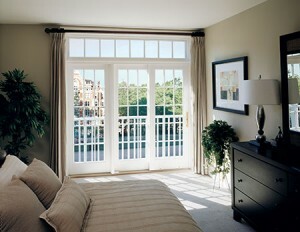 Do you need new patio doors or sliding doors for your home? GNH Lumber is proud to be your local, independent Marvin doors retailer. 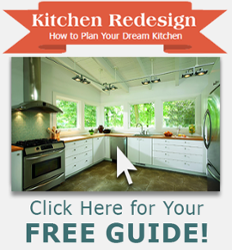 Come to us to find expert advice and creative solutions on your next new or replacement door project! 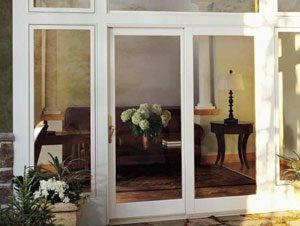 Whether you need new patio doors, sliding doors, storm doors, or french doors, Integrity and Marvin doors will change the dynamic of any room in your home. They blur the line between inside and out, allowing you to re-think where you catch up on work, enjoy breakfast, or create memories. Your favorite view will become your backdrop, your focus, or both. Doors Strong Enough To Draw You In. Integrity doors are built with Ultrex®, a highly durable, state-of-the-art, pultruded fiberglass that significantly outlasts and outperforms vinyl and vinyl/wood composites in virtually every way. They also build Integrity doors with multiple features and hardware options, to operate smoothly and stylishly inside and outside your home. 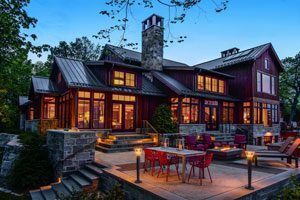 Today’s homes push the boundary between indoor and outdoor living spaces. 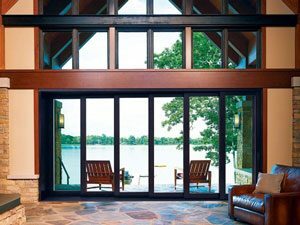 Create a new view with the large selection of doors from Marvin’s Patio and Scenic Door Collections. Sophisticated and beautiful, and built for smooth operation, dependable performance and remarkable views. For those who dream a little bigger. 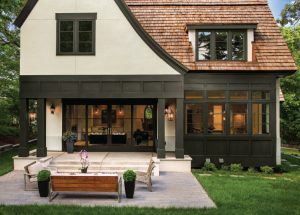 Marvin Scenic Doors bring the outdoors in by elegantly and effortlessly connecting your inside space with the environment found right outside your doors. The Ultimate Multi-Slide Door is more than just a new panoramic door. It’s an entirely new lifestyle. Smooth operation and expansive views! Today’s homes are pushing the boundaries between indoor and outdoor living. Marvin Patio Doors are sophisticated, beautiful door designs carefully built for smooth operation, dependable performance and remarkable views. Warm wood interiors invitingly frame the view and tough aluminum clad exteriors create an energy-efficient weather barrier. Marvin Ultimate Lift and Slide and Bi-Fold Doors are taking our Built around you® philosophy to a breathtaking new level of inspiration. You can have a consistent window and door package from one manufacturer backed by the 20/10 limited warranty you’ve come to know. 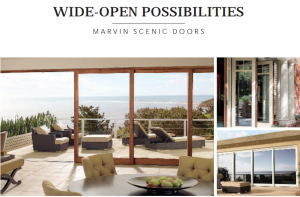 Let more than just fresh air into your home — with Marvin Scenic Doors, let the outdoors in. Integrity doors retain their value and quality for the long haul – leaving you and your family and guests to enjoy the extraordinary views! Integrity doors hold strong and perform under great stress without showing age or wear. This means doors they will hold up for years to come. No worries. Choose from a selection of Sliding and Swinging Door styles! 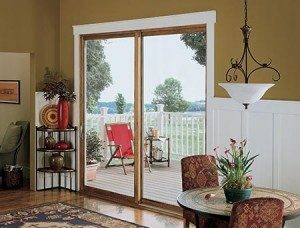 Integrity’s 4 Panel Wood-Ultrex Sliding French Door is the latest addition to Integrity’s collection of Wood-Ultrex Doors, this Sliding French Door is available in standard and custom sizes up to 16′ wide and 8′ tall. Enhance your view with this new product option from Integrity!